Get Vendio Gallery - Now FREE! 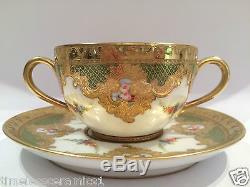 Antique Sevres Hand Painted Porcelain Cup & Saucer. 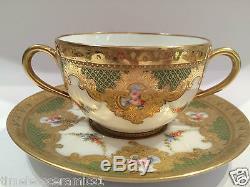 Stunning antique French Sevres Limoges porcelain twin handle cup and saucer decorated with hand painted flowers inside gilded cartouches against green ground and intensive gilding details. 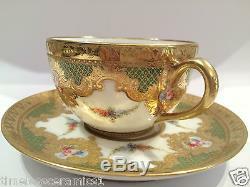 It is marked with Limoges France and Sevres mark which indicates that it was made between 1830 and 1848. 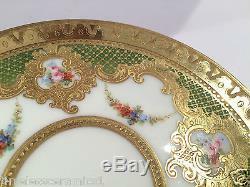 It is in excellent condition without any damages or repairs and minimal wear to gilding. 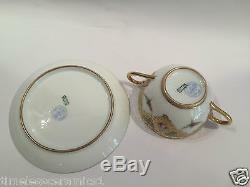 The cup measures 8.6 cm in diameter and 5.6 cm high and saucer is 14 cm in diameter. We believe in packing all items with the utmost care so that you can get your treasure in one piece. 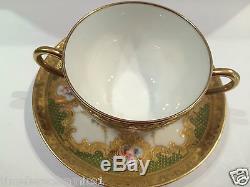 The item "Antique French Sevres Limoges Hand Painted Porcelain Cup & Saucer" is in sale since Wednesday, February 25, 2015. 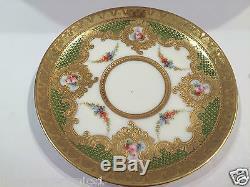 This item is in the category "Pottery, Glass\Pottery, Porcelain\Limoges". 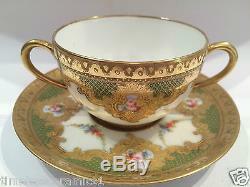 The seller is "timelessceramics1" and is located in Taperoo, SA.